Made with organic ingredients, this water-proof, and moisture-proof spray is safe for all thinning hair types. The organic microfibers attach and blend with your own hair. You will instantly see a fuller, more natural looking head of hair. 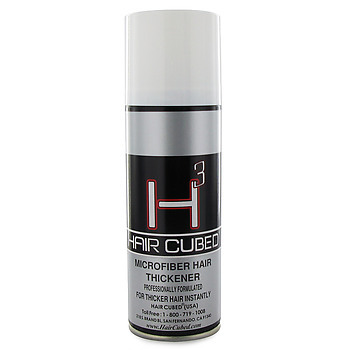 Hair Cubed is guaranteed not to harm your hair, or slow or impede normal hair growth. It is equally effective for both men and women, and stays put until you shampoo it away! Water or moisture alone will not harm it, remove it, or wash it off even while showering, getting caught in the rain, sweating at the gym, or swimming in the pool or at the beach. Are you worried about your thin, low volume hair? If yes, then the Hair Cubed Organic Microfiber spray can be the right choice for you. This Hair Cubed spray effectively makes your hair look thicker and fuller than ever. Extremely resistant to water, rain, wind, and perspiration, this Hair loss solution ensures carefree voluminous hair. The Hair Cubed Organic Microfiber is meant for both men and women. 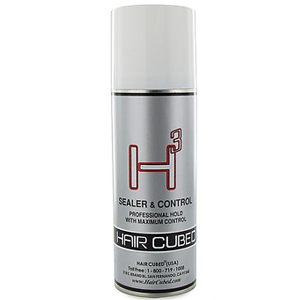 This Hair Cubed spray remains on your hair for a really long time, for a lasting effect. You can use this Hair loss solution with other hair loss treatments and styling products as well. So, gift yourself the Hair Cubed Organic Microfiber and see the difference in your personality, yourself.